Josh Williams developed Josh’s Reaper Midge for use on tailwater rivers when trout seem to only want to take the smallest of fly patterns. Josh’s Reaper Midge has flashy wings offer a great visual aid for the angler, as well as a nice wing silhouette for the trout. 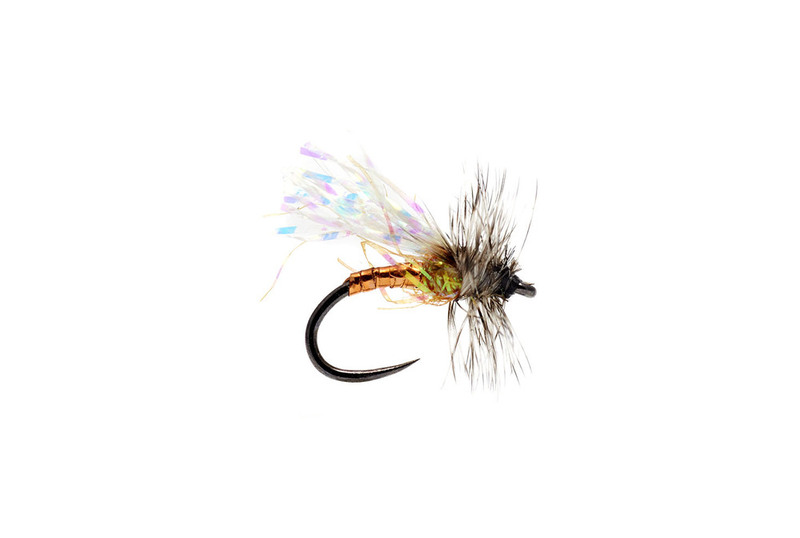 The hackle thorax holds the front of the fly on the surface tension. Hook: Orvis Tactical Wide Gap Hook or dry-fly hook, sizes 16-22. Thread: Black, Veevus 8/0 or 10/0. Abdomen: Veevus Iris Thread in color of choice. Thorax: UV Ice Dub in pink, purple, or orange.